On March 11, the Academy’s fifth graders trekked to Camp Timberline for three days of fun and challenging activities geared to build teamwork as well as self-confidence. While the students enjoyed the low ropes segments, including the “Mohawk Walk” and “Wild Woosey,” and the 7 a.m. “Polar Bear” swims, it was the individual activities on the high ropes, “Multi-Vine” course and the 24-foot tall Climbing Wall that were the highlights of the trip. 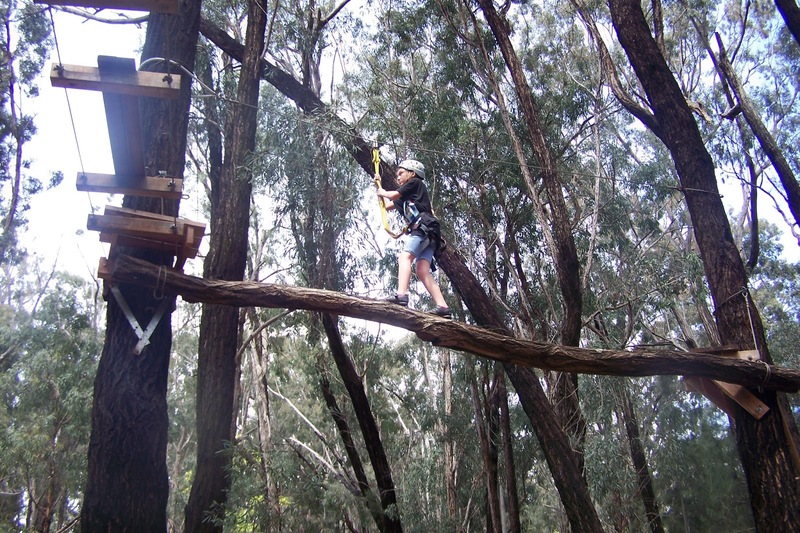 During the Multi-Vine challenge, the students individually navigated a course suspended in the treetops, forcing them to push themselves and overcome fears. Amazingly, all 48 fifth graders attempted and completed the Vine course!